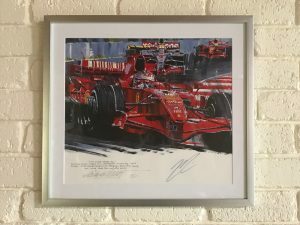 ORIGINAL art from Nicolas Watts, 20×16“. 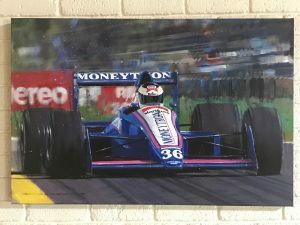 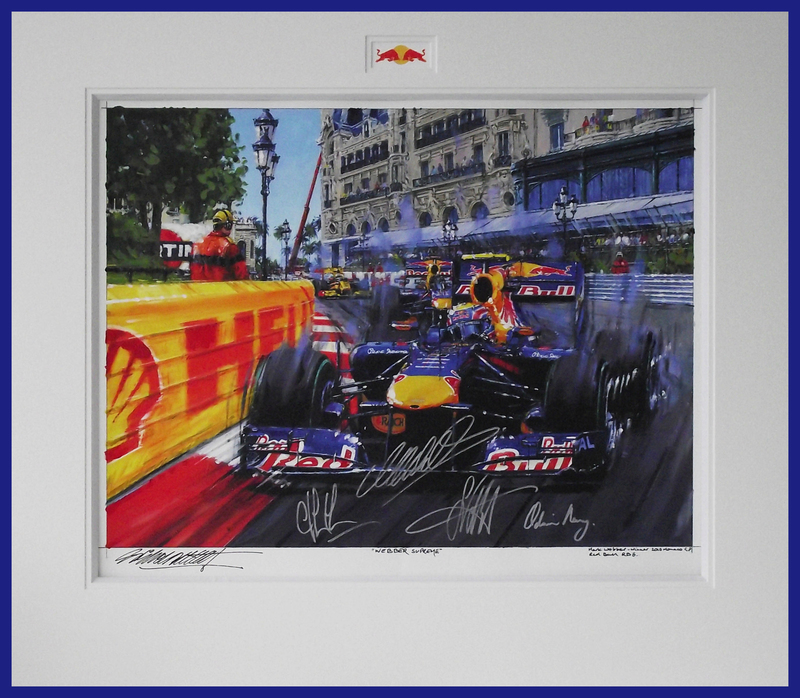 Entitled, “Webber Supreme”, showing Webber in the Monaco GP 2010. 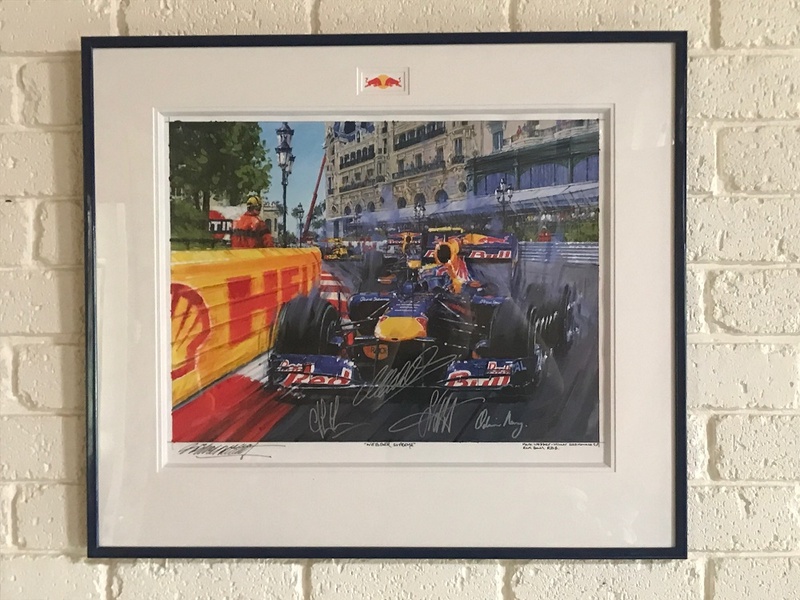 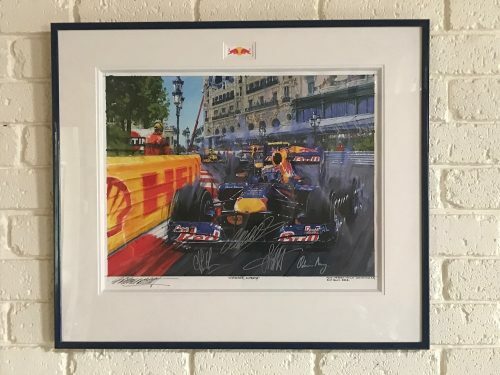 Signed by Sebastian Vettel, Mark Webber, Adrian Newey and Christian Horner. 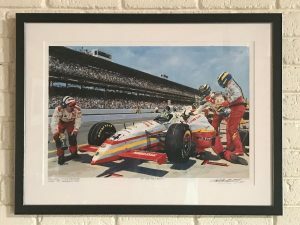 Framed, 28×24“ overall.